Deciding what type of curtain or window treatment to be put up in your home is not always an easy decision. Many things need to be considered before making the choice. Factors such as sun exposure, type of room, and interior decor play a big part in choosing what will be the best for your windows. Style is one of the first things to consider. This will be determined by the style of furniture you have chosen, the size and shape of your windows and even the architecture of your home to choose curtains for a living room. Living room is place where most of them spend time together and needs lot of lighting. In bedrooms, some people choose to use what are called room darkening curtains. These can come in a variety of types, like cellular shades, for example. These kinds of curtains in the room darkening variety are great especially for windows that face east, to keep the maximum amount of morning sun out of the room. Curtains like these are available in a wide array of colors, to it is very likely that a color is available to suit just about any decor & home furnishing. Since this kind of window treatment is used to cover the window, it is an option to also put up some other kind of curtain to dress the window up, like sheer panels. 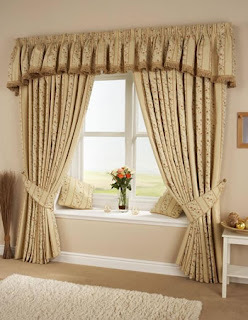 New curtains are a fairly easy way to spruce up the look of any room in your home. Whether you purchase them or make them yourself, find a design and a color that suits you and the others in your home. Remember to take all of the factors like sunlight exposure and privacy into consideration. Use your talents and imagination in choosing the right colors and fabrics for curtains. The curtains are of much importance Even if something goes wrong while your home or room construction, a curtain will amend and even enhance the look of your wrong construction in positive way..